An Egyptian company that launched North Korea's first 3G cellular network and attracted as many as 3 million subscribers has revealed that it lost control of the operator despite owning a majority stake. 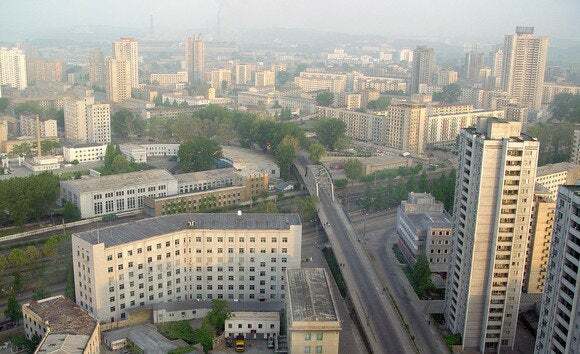 The plight of Orascom Telecom and Media Technology in North Korea takes place against a backdrop of rapid telecom modernization and a public eager to adopt a new technology. It's ultimately a lesson in the perils of getting into bed with a government that's not known for respecting international law. When Orascom announced plans to launch the 3G service in 2008 it met with skepticism. The North Korean government severely limits its citizens' ability to communicate and has jailed or killed anyone who speaks out against the regime. The regime has regularly threatened war against its foes and was under sanctions at the time for a 2006 nuclear test. ALSO ON NETWORK WORLD Exclusive Review: Is white-box switching the future of networking? But Orascom Chairman Naguib Sawiris saw something else: a land that technology had forgotten. He'd successfully built cellular networks in other developing countries, and North Korea seemed a perfect candidate, especially with its low fixed-line penetration. After months of talks, Orascom secured an agreement to form a joint venture with the Ministry of Posts and Telecommunications. Orascom held a 75 percent stake in the company, known as Cheo Technology, and the ministry owned the rest. The service was sold under the brand Koryolink. In its first two weeks of operation, in December 2008, Koryolink signed 6,000 subscribers -- not bad for a country whose citizens need government approval to get a cell phone and where they needed foreign currency to buy minutes. Subscribers grew steadily over the next few years and Orascom expanded coverage to major cities, highways and railways. In 2011, things were going so well that Sawiris met personally with reclusive North Korean leader Kim Jong Il, and state-run media lauded the company's success in modernizing its telecommunications system. A woman uses a mobile phone in Pyongyang, North Korea, on September 5, 2010. Additional services were added, like MMS picture messaging, and subscriber numbers passed 2 million users (North Korea's population is around 25 million). Visitors to Pyongyang remarked on how common it had become to see people on cell phones, and TV news carried reports about new phones. Success brought profits, which was good news for Koryolink but ultimately bad news for its Egyptian owner. Orascom's efforts to get its profits out of North Korea have been unsuccessful, partially because of international sanctions imposed on the country but mainly by the government's refusal to let the money go. To transfer money out of North Korea, Orascom needs permission from the government and it hasn't been granted, despite it being a partner in the joint venture. The government hasn't acted because it can't afford to. The profits are held in North Korean won, but the currency isn't traded internationally and the government's official rate is set artificially high, at 100 won to the U.S. dollar. At that rate, Orascon's holding at the end of last year was worth $585 million. But at the black market exchange rate, which is effectively the real value of the currency in North Korea, the cash is worth only $7.2 million. And therein lies the problem. The government can't afford to pay the money at the official rate, and it can't be seen to officially recognize the black market rate. So the two sides have spent months locked in talks about what to do. The issue came to light in an auditor's report in June, and a month later Orascom dropped a bombshell: It said the North Korean government -- supposedly its close partner -- had set up a second carrier to compete with Koryolink. With its options limited, Orascom entered merger talks to combine Koryolink with the new carrier. The North Korean government has agreed to the move in principle, but so far nothing has happened. What's more, the North Korean government has apparently proposed that it be the majority partner in any new venture that's formed. That led to a dramatic statement from Orascom when it reported its financial results Monday -- "in the group management's view, control over Koryolink's activities was lost." Sawiris appears to hold out hope, but he might be out of moves. "We are very proud of the success of our operation 'Koryolink'," he said in a statement. "We have around 3 million people today carrying our phones in the DPRK. We are still hopeful that we will be able to resolve all pending issues to continue this successful journey." Orascom did not respond to a request for further comment.